As it happens now, Jupiter is conjunct the same degree of longitude as the planet Uranus is. Uranus is trans-Saturnian, that is, it exists outside of the traditional astrological schema that is assigned rulership of the various signs. At some point I may write an article explaining in detail that rulership scheme and it is a very interesting subject in itself. Uranus’ effects have to do with sudden leaps of consciousness, and it is associated with the idea of unboundedness or freedom. Uranus contributes to the feelings of dissatisfaction in consciousness, which upon reaching critical mass incite breaks with the tired patterns of the past. Uranus transits (and progressions) will coincide with people breaking out in new directions, or at least being introduced to ideas and situations that stimulate new areas of thought in the individual. Aspects to and from Uranus I have observed to coincide with an “electric” sort of excitement that is difficult to contain or control, you just have to let it flow and take you where it will. Uranian energy many times will be snuffed out by individuals who try to force the experience of the feeling into some sort of already-accepted conceptual paradigm; and since Uranus “hates” already-accepted paradigms its hold on us (and the benefits it will deliver) quickly disipates. To explain it more practically, you meet a new girl or guy to date. The electric excitement he or she produces upon you tends to immediately vanish the minute you start to try to “possess” them into your life. You have to let them be their selves, and accept and appreciate them for what they are; and not try to force them into some previously coveted mold of a friend, spouse, or lover in your life. Or, you have a discussion with someone on some political, scientific, or philosophical matter; the energy of the debate is lively and mind-expanding. However, the minute you start to use the discussion to validate some previously established (and coveted) viewpoint or “ism” in your mind, the dynamism of the discussion changes immediately to one of a battle for ideological supremacy at that moment between the two of you. The spark of liveliness has gone away, and the open door to innovation and synthesis is closed. Uranus does not like possessiveness or control, and it resists strongly or exits immediately upon its arrival. 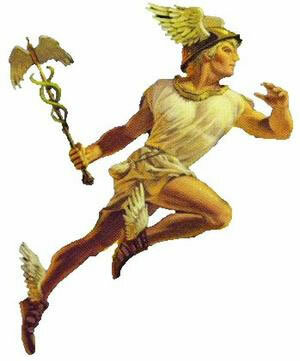 Returning to Jupiter, it actually is very similar to Uranus with its electricity (Jupiter was the Roman counterpart to Zeus, the Hurler of Thunderbolts), and fiery drive to intellectual ascendancy. I am hard pressed to cite any manifestations of this positively in the world right now; however, I can see some correlations with the current furor over the burning of the Koran by the Florida pastor. Obviously this is a case of “my faith is better than yours (and therefore I must destroy you)”. 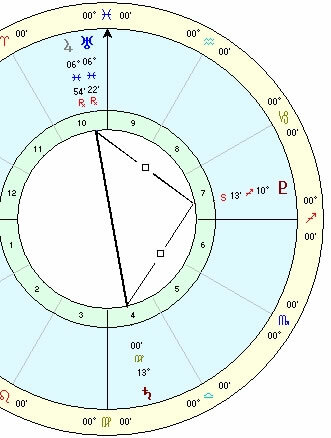 Right now the ideological astrological configuration of Jupiter and Uranus in sidereal Pisces, opposed to Saturn in Virgo, and square to Pluto in Sagittarius is lit up; these are all very religious/spiritual signs. Pisces denotes faith and surrender; Virgo denotes allegiance to the specific of spiritual codes, and Sagittarius denotes a zealous advocacy that will sometimes blur the finer points of the matter.